According to a GameSpot Article and various sources from Polygon, Electronic Arts, publisher of popular titles such as Battlefield 4, will be the publisher for the sequel of Titanfall. Going further, the aforementioned sources have made the notion that the sequel to Titanfall will not be a Microsoft-platform exclusive as the original title was. An EA representative was questioned by member of Polygon about the rumor, to which the representative responded, "We do not comment on rumor or speculation. 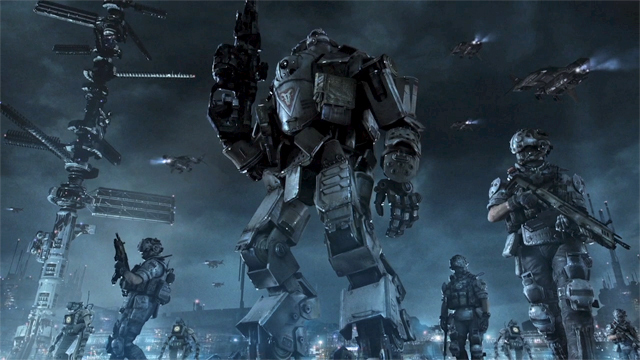 Right now all our focus is on supporting all the fans worldwide enjoying Titanfall." Vince Zampella, co-founder of Respawn Entertainment (The Developer of Titanfall), did not make a response when asked about the rumor. In addition, a spokesperson for the aforementioned developer declined to comment when inquired about the rumor. To most gamers, this is far from a rumor because back in October 2013, Zampella had made a tweet the Respawn Entertainment planned on developing games for the PS4 and created notions that the sequel(s) to Titanfall would not be Microsoft-Platform exclusives. With Titanfall being released only nine days ago for the Xbox One and the PC, it has sparked a lot of hype in a relatively short amount of time. Some call the game revolutionary as it is shaping a new dynamic to multiplayer video gaming. Polygon even goes far enough in a review to say that "Titanfall may not mark the same kind of sea change that Modern Warfare started but the pieces are all there in a game that delivers on its potential as the next big thing." Those wishing to play the title on the Xbox 360 will have to wait, however, because the game has been delayed from March 25th to April 8th in the US and until April 11th in Europe, according to the game's website. The post on the site stated "we see a few things that can be made even better, so we're giving Bluepoint Games (the studio responsible for Titanfall's Xbox 360 version) a little more time to do that and deliver an epic Titanfall experience for Xbox 360 players. We appreciate everyone's patience as we get the last details right." Going further, Zampella said that the Titanfall for the 360 was "lagging behind" because of difficulties of integrating the "day-one" patch that was used on the other-platform versions of the game.